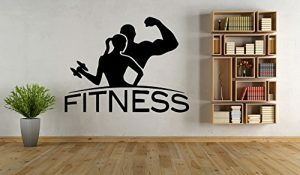 Vinyl Wall Decals with Gym quotes ? Aspiring for successful outcomes from exercise is one thing, but pushing yourself to achieving it is the ultimate fitness experience. And that’s why pasting wall murals are great way to liven up a space and also give you the chance to add inspirational imagery to hit your goals. 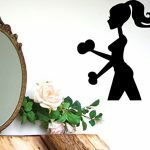 But, before we dive into the steps, it is important to know why pasting Wall Decor in a gym? 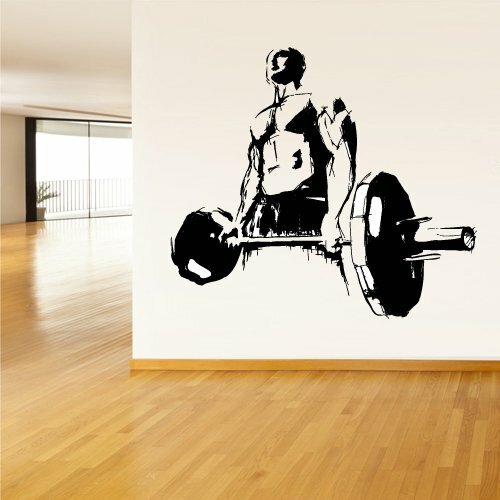 First, I want you to know that it is important to transform the look of your gym with a motivating wall mural. This will help you and members to get the right inspiration, enjoy your exercise and also get the best results from your gym environment. Murals that are powerful, motivational and are sure to get the blood pumping in your gym. Because they will surely get you inspired as you look into the images. Meaning, motivational wall murals are vital signs in a gym and they are not hard anymore in getting them pasted. These days wall murals are made to measure to fit any wall and available in a range of materials to suit your needs. But before we move ahead it is important for us to know the different types of Vinyl wall decals, where they are use and why. Majorly there are 2 types of Vinyl Wall Decals. And they are as follows Adhesive Vinyl and Heat Transfer Vinyl. The difference between this 2 vinyl is that adhesive can easily stick to a surface of a wall due to the gummy nature that it already comes with. Adhesive Vinyl are usually use for indoor and outdoor wall and the most commonly use type is Oracal 631. Oracal 631 is a matte finish indoor wall-safe Vinyl usually for indoor walls and indoor items or materials that will not be washed. Another mostly use vinyl is call Oracal 641. Oracal 641 comes with a water-based permanent adhesive. It is an outdoor vinyl and also use on items like cups, car windows, mugs etc. Oracal 651, Oracal 751, Oracal 951, Oracal 5600, Oracal 6510, Oracal 8300, Oracal 8510, Oracal 8710, Oracal 8810, Oralux 9300, Oramask, OraGuard, StyleTech Ultra (Glitter), StyleTech FX Glitter etc. But we won’t be going into details of each them since that’s not are major focus. The other type of Vinyl is Heat Transfer Vinyl usually called HTV. This type is vinyl are not sticky like Adhesive but instead they are fused with heat to materials or item they want to be use on. Items t-shirts, shirts, tote bags, coats, scarves, blankets, stuffed animals, etc. The design to be pasted are mirrored to the materials or item so as to cut through the vinyl only and weed away the extra. Thereafter you flip the design over item or materials, apply it and then remove the carrier sheet. Siser EasyWeed, Siser EasyWeed Stretch, Siser EasyWeed Electric, Siser EasyWeed Extra,Siser EasyWeed Glow etc. Also, we won’t be digging into them since our main focus is How to paste Wall Decor in gym using Vinyl Wall Decals with Gym quotes. That is, how you can decorate your gym wall to stay motivated and get your desire fitness result. And that takes us to the next stage in knowing the type of vinyl that will fit your need. 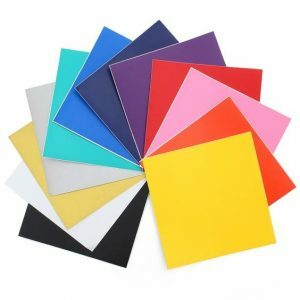 As discuss earlier some adhesive vinyl are meant for permanent and outdoor application while others are designed to be removable for indoor application. Many a times, permanent outdoor vinyl do come in a glossy finish while removable indoor vinyl has a matte finish. As already known permanent outdoor vinyl is perfect for outdoor signs and most of them has a glossy finish, but not all (Oracal 641 is a matte vinyl with a permanent adhesive). So, depending on your walls position, be it outdoor or indoor decor this extra-long lasting permanent adhesive vinyl will be your best bet. They can be remove, though some of them do damage to walls or paint but this type of Vinyl can easily remove without damaging your walls. This is one of the latest trends in home decor. 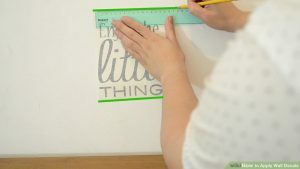 And it gives the look of a hand-painted quote, saying or image without the cost, time, and permanent paint on your wall. It is easy to apply and can be easily removed without damaging your walls. 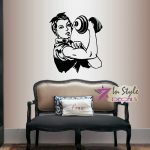 This Vinyl wall decals can be applied to walls, doors, windows, cars, or any other solid, smooth or semi-textured surface. And comes with an instruction on easy step to apply. Just peel and stick it and it is better than wallpaper & art murals. It’s makes a quick and easy alternative to painting. Wall decals stick around and they are best on surfaces that are dry, clean, and smooth. This peel and stick backing ensures no residue or marks are on your wall upon removal. 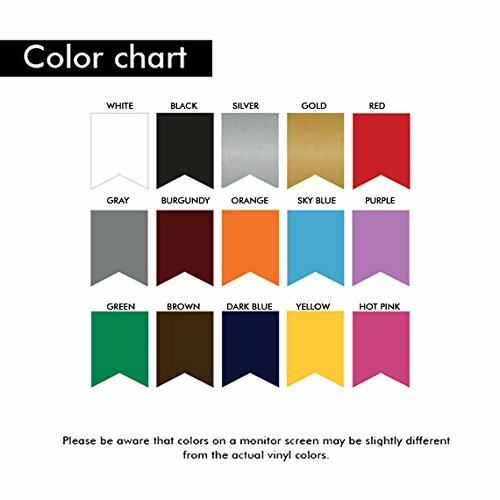 And PLEASE make a note about YOUR COLOR CHOICE when placing your order, otherwise the showing on picture color will be shipped. You can request for any custom size by contacting them. 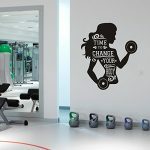 Using Vinyl wall decals with Gym quotes has not only become simple, but a pleasure. This will take boring walls inside your gym and turned them into educational artwork that will make you dream big as you exercise. And the whole process from start to finish is pretty quick and simple. As a known fact anything is possible with hard work, and that’s what wall decors shows to you in a gym where they are pasted. They inspire you to push that bit harder during your workout. Though not all training is created equal, but most of the mural will give your gym a calm, concentrated ambience to help you focus your training efforts. And because an added boost is necessary during training evocative image will always give you a feeling of reaching your target goals. Having a gym quotes in whatever way, you can’t help but be inspired by the wonderful mural. And with famous quotes added, it will always get you that push you to go the extra mile. Everyone has their own individual training and exercise style and having a mural that suite your mood will help you to progress in your gym. Please note that waxing the paint before you start will help to remove bubble and make the decal to easily remove later. Waxing can be done with a mildly soapy water or using a spray bottle with Windex. 1. Find the right size and position the decal where you want it without removing the backing paper and make sure you first separate all the section if it come in sections. You can easily do this with a pair of scissors as well. Make sure you select the best decals shape and the design that will make the space feel. 2. After that, clean the wall area you choose to apply the decal with a dry rag or microfiber cloth and make sure the surface is clean and dry. Use the mildly soapy water to remove oil if there’s any and let it dry. This will allow the decal to adhere properly to the wall. Then measure the space to help your selection. Select the session and best color that will fit the space. 3. Now place the decal in the position where you want it, use a level to plum and place a continuous piece of electrical tape along the top edge of the decal to hold it in place. Step back and look at it placement to see if you like it. 4. Once you’re satisfy with the positioning get your ruler and pencil to draw a light line. This light line will help you to properly position the decal when applying it to the wall. Thereafter place the painter’s tape on the wall directly above the pencil mark. Doing this will help you to identify where to place you decal again after you have remove the hard paper back. 5. 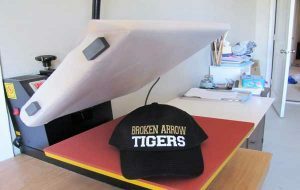 Place the decal on a flat surface (either a table or floor) and turn the decal so that the backing is facing you. 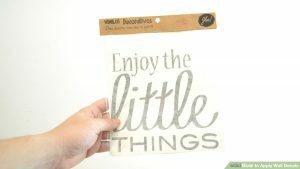 Carefully peel the paper backing from the transfer paper and decal. Now you have to be observant during this time. While peeling if the decal sticks to the paper backing, firmly press the paper backing, transferring the paper back together. Make sure you repeat this process until the decal stick back to the transfer paper. This will leave the adhesive from the decal and transfer paper exposed. 6. After that, paste the decal to the light line you draw carefully and make sure it is properly position. 7. Once it has been pasted, smoothen the transfer paper using a squeegee and make sure you work from the middle to the outward. This will allow the adhesive to stick properly and air not to form bubbles under the decal. Try as much as possible so as to have a smooth surface. 8. Then slowly and carefully peel the transfer paper from the wall starting from one of the corners and roll it back onto itself. This will keep the pressure against the decal while the transfer paper is being removed. Don’t forget to be careful and move slowly and be sure that the decal gum to the wall and does not peel off with the transfer paper. It does paste the transfer paper back on the wall and smooth again with the old credit card or Squeegee. 1. Separate the decals if they come in session. And then find the right size and position the decal where you want it without removing the backing paper. Make sure you select the best decals shape and the design that will make the space feel and let the wall be clean. 2. Place it on the wall and use painter tape to secure it. Double check to make sure it positions correctly and that you’re happy with the placement. And don’t forget to use level and tape for proper alignment. Thereafter use a long tape to hold it firm up and down, likewise in the middle as shown in the picture. 3. Start with half of the decals and fold it to the other half still tape to the wall. Now separate the hard backing paper carefully from the transfer paper and decals. 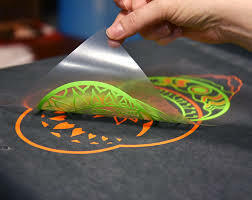 And don’t forget to check and make sure the design is stick to the transfer paper while removing leaving the adhesive on the decal and transfer paper exposed. But careful at this point so as not to allow them to fold or gum together. 4. Now, cut out the half of the backing paper with a pair of scissor. 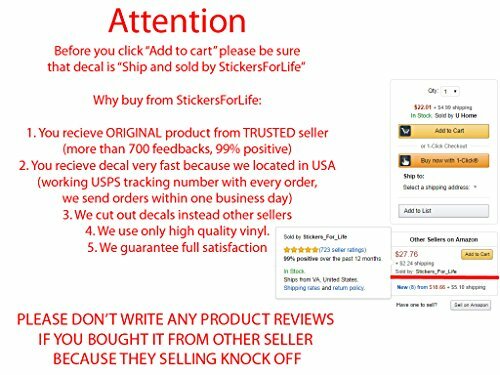 Be careful and make sure it didn’t cut the transfer paper and the decals. Do not allow it to stick to anything. Perpendicularly hold the decal to the wall and start from the center where you have the tape holding it and start smoothing. Smooth it from the middle towards the edge. After that repeat same step using a squeegee in a sun burst pattern to remove the bubbles if there’s any to allow the decal stick better. 5. Proceed to the other half and remove the hinge tape that hold it to the wall and carefully remove the hard paper backing. Then repeat the same step in 4 and make sure there’s no bubbles. 6. Now it time to peel the transfer paper from the wall by starting at the corner and rolling it back over onto itself. This method allow pressure to be kept against the decals while removing the transfer paper. Be careful at this point by making sure that the decals stick and does not come off with the transfer paper. If it does, firmly press the transfer paper back on the wall and smooth it again using the squeegee or old credit card. Repeat same process if you have other session left and don’t forget to let them fit and trim extra paper during overlapping. 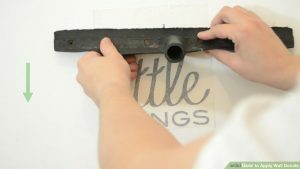 And for other small pieces they can easily be install by peeling the paper backing and applying the decals as done above. As advise above the surface must be clean and free of any debris or obstructions. Use a mild mixture of soapy water in a spray bottle and completely soak the surface where you want to install your decal. Thereafter peel away the paper backing as instructed in the above steps. After peeling take your water mixture and SOAK the adhesive side of the decal and transfer paper. So as to be able to correct it place wrongly. Then soak the surface area where your decal will be again and line up where you want your decal. 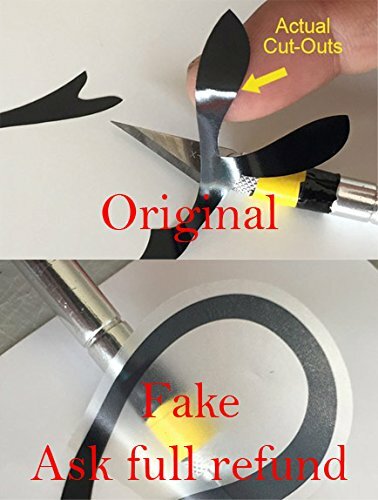 Place the decal with the adhesive side facing the surface. If it is wrongly place the water mixture will allow you to move your decal around until the placement is correct. Take your old credit card or squeegee any other type of thin, hard plastic, and gently smooth out the surface starting from the middle and moving outward. Remember it will help to remove any liquid or bubbles underneath the transfer paper and allow it to stick better. After that, allow your decal to dry with the transfer paper still on. Once it has dried, then it is safe to remove the transfer paper. Then start at one corner to peel away slowly and close to the surface, making sure your decal doesn’t peel up with it. If it does peel, smooth out the surface again (with the transfer paper still attached) and allow it to dry a little bit longer. And if you notice any air bubbles, gently smooth out the decal again once you have removed the transfer paper. 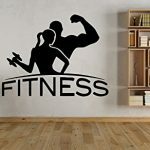 With this steps and guide you can see that it is very easy to paste wall decor in gym and also have all the gym quotes speaking to motivates you or members. Please note that if your wall is wet or damp it will not stick. Meaning it has to be installed on a hard, clean, smooth and dry surfaces. Also the condition of your painted surface underneath mater, if your wall is age I will highly recommend some touch ups. Likewise, don’t forget to make markings and measurements as needed. Wall decals do come in 3 layers. The paper backing to the decal (they do have vinyl manufacturer’s logo displayed) usually Avery or Oracal. Gently peeling the hard paper is important and always ensure that the decal stick to the transfer paper. While the adhesive of the transfer paper and decal are expose make sure they are not folding or gumming together. Using old credit card or some other type of thin, hard plastic is vital as it will help to smooth out the surface. And always start from the middle and moving outward to help adhesive stick better and remove any air bubbles in your decal. 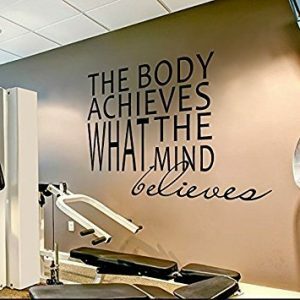 Wall decals with gym quotes are power medium of motivation. 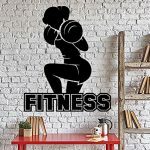 Do you have wall decor in your gym? And how impactful has it been to you? And if you don’t have it yet, you can always get it here at an affordable price.